It has been a very exciting year at PAXON. We added 7 more champions bringing our total to 65!! 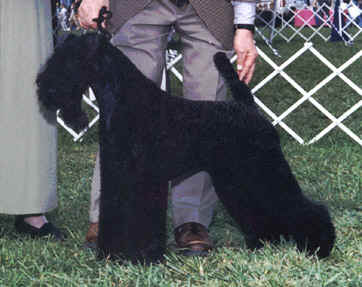 In Jan. 2002 we got conformation that "Tootsie" was, "New" Ch. Paxon's Life of the Party. 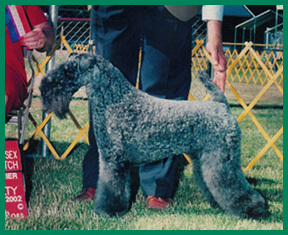 "Tootsie", finished her championship when she was just 14 months old. 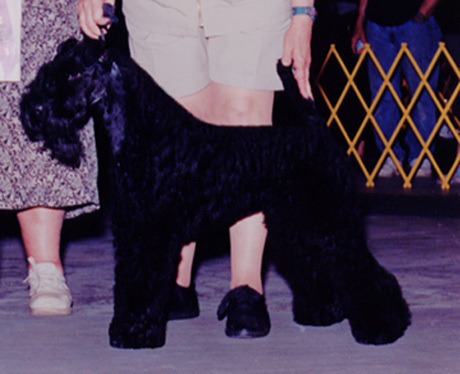 "Tootsie" won her 4th major, and the title by going WB, BOS, over group winning specials, at the Fall Empire Kerry Blue Terrier Club's Specialty. Another youngster finished at just 13 months old. "New" Ch. Paxon's If Looks Could Kill, "Rascal". 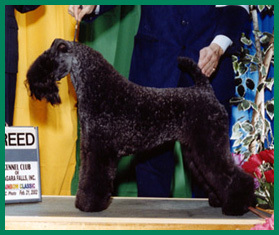 Both "Tootsie" & "Rascal", are sired by our Specialty winner, Ch. Paxon's As Good As It Gets, "Trevor". The other champions include, Ch. Paxon's Mischievous, Ch. 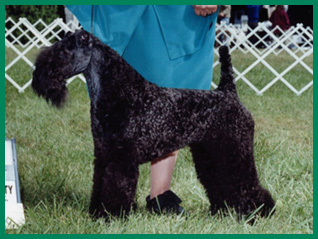 Paxon Sparklin' Fire Cracker, and Specialty winner, Ch. Paxon's Lucky Charm O'Rockwell. 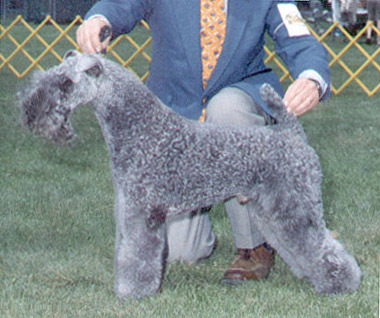 Then came Sweepstakes & Specialty winning Ch. 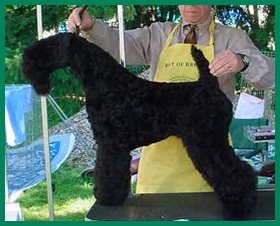 Paxon's Easy Does It,"Roxie" completing her title at 17 months old, followed by Am/Can.Ch. Paxon's Little Bit O'Luck ,"Meagae", to bring our total to 65!!! 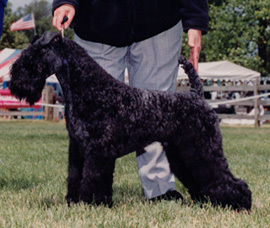 "Meagae's" sire is Specialty winner, Ch. Paxon's Lucky Charm O'Rockwell. We are looking forward to a successful 2003!!! Paxon's Easy Rider, "Rider", & litter sister Paxon's Shall We Dance, "Shelly", are fast approching their titles. "Rider", a Specialty winner is only 3 single points from the title, while sister "Shelly" is just one major away. "Shelly", also has a BEST PUPPY in SHOW to her credit!! 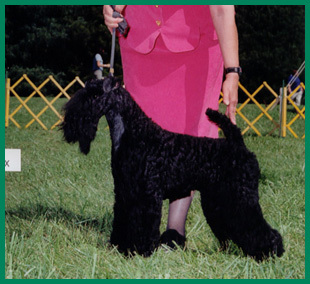 These two outstanding youngsters are litter mates of Ch. Paxon's Easy Does It. 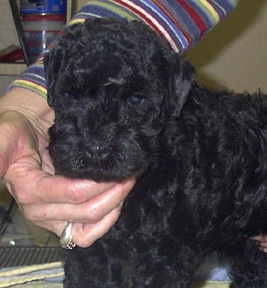 Paxon's Tangwystl, "Nikki" is our Christmas puppy, born on Christmas day, 2001. 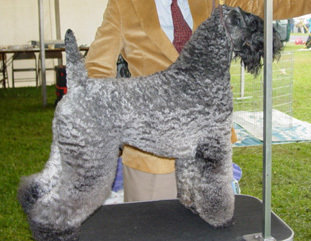 "Nikki" is pointed, and has a Best of Breed from the puppy class. 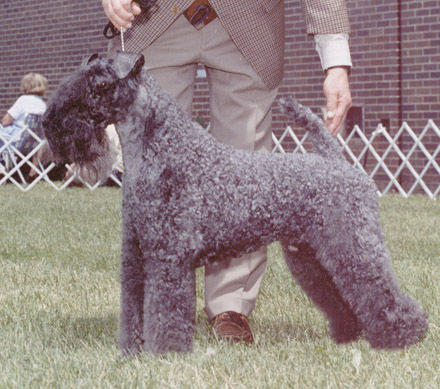 Her sire is Ch. Paxon's Rough Rider. 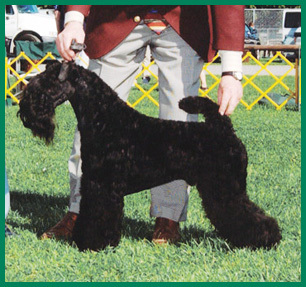 We have several youngsters waiting in the wings, sired by Montgomery Co. winner & multiple group winner, Ch. Hallsblu Royal Flush. We anticipate their debut in late 2003.